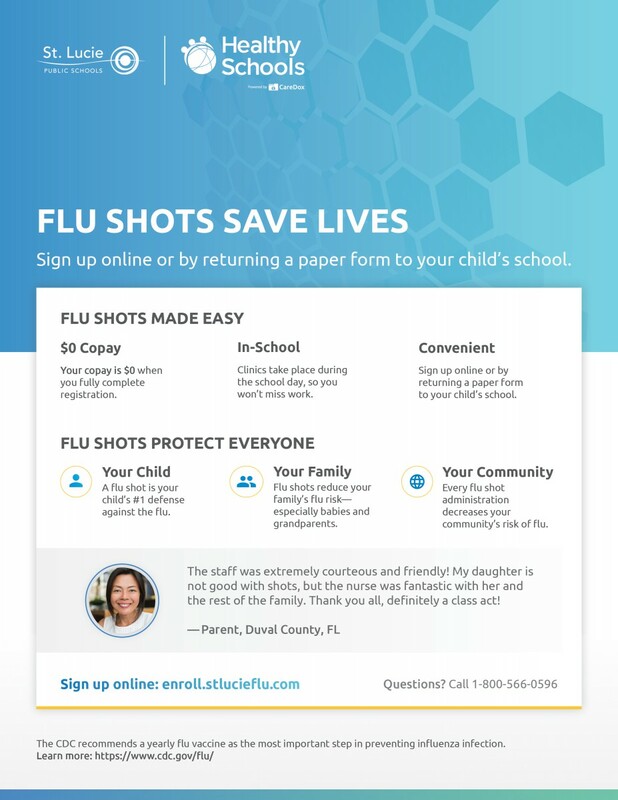 St. Lucie Public Schools has partnered with Healthy Schools – the nation’s largest school vaccine provider – to offer flu shots to your child during the school day. The copay is $0, so there is no cost to you. The CDC recommends a flu shot as your child’s #1 defense against the flu. 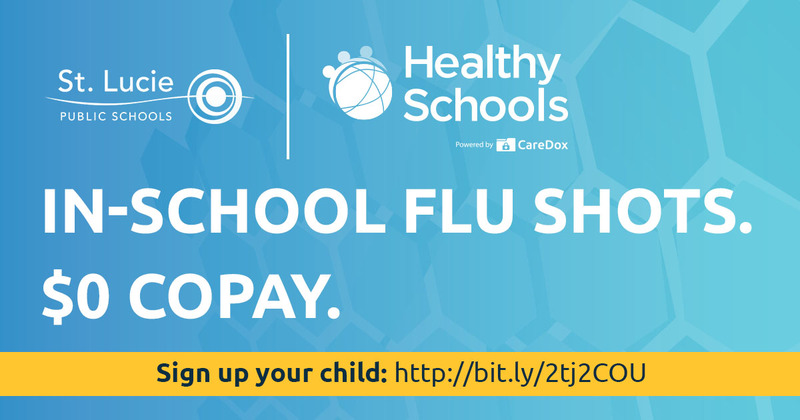 Our district’s goal is to ensure that flu shots are available to 100% of our students. 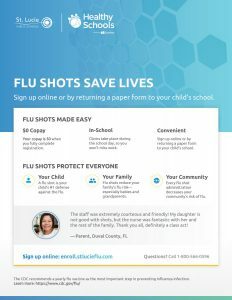 Help us as St. Lucie Public Schools Fights the Flu. Transportation News- Here Comes the Bus!